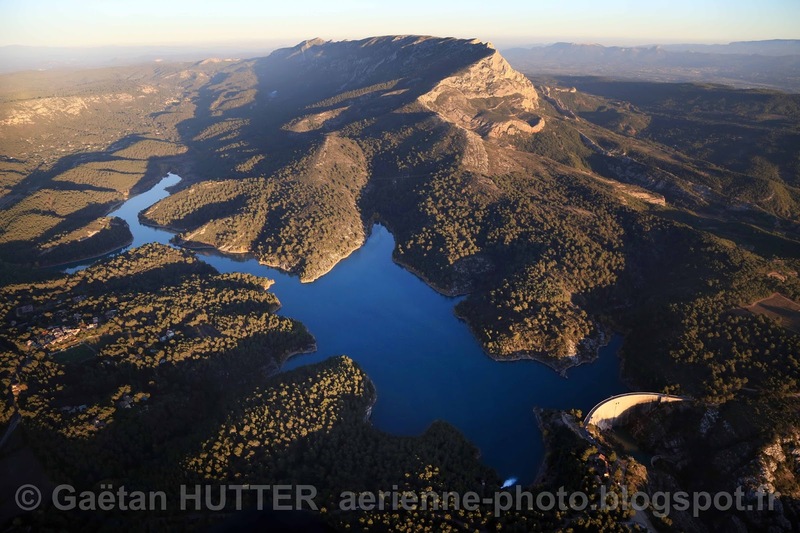 Blue - Mount Sainte Victoire and the Bimont reservoir and dam. The dam was build between 1946 and 195. 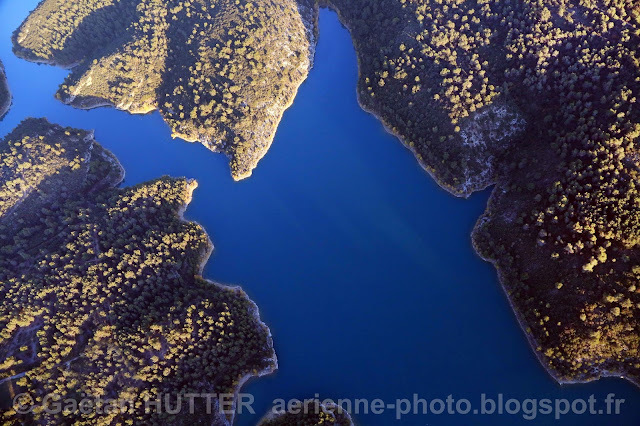 Some water flows into the reservoir from the Infernet river on the north side of Mount Sainte Victoire however the major par of the water comes from a 5 kilometer long, man made, underground canal that brings water from the Verdon river via the Canal de Provence. The dam is 87 metres high and 180 long. 150000 meters cube of concrete was used to make the dam. 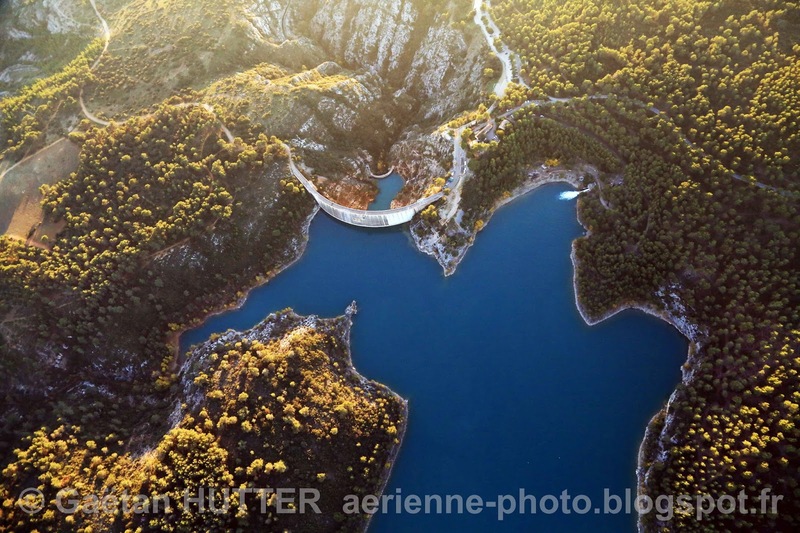 The dam has a maximum volume of 39 million meters cube, however the usage volume is 14 million meters cube. It supplies water for: several towns around Aix en Provence, irrigation for 8000 hectares of agricultural land, the Arc valley industrial zone, the electric power plant of Gardanne and contributes to Marseille's water supply. The dam also produces electricity.